So you’ve decided to move towards a plant-based diet. Now what? What the heck is there to eat? How can you eat maintain healthy diet that doesn’t cost an arm and a leg? Well, my friends, you’re in luck. It’s really very manageable! By planning ahead, eating a vegan diet becomes not only easy, but a complete joy! And an oh, so delicious one. I wanted to share how I plan my weekly meals because it’s so simple and allows me to save money and eat healthy all week long. This doesn’t just work for a vegan diet either, these tips are easily applied to any healthy diet. Why meal planning is so important, especially on a vegan diet. It allows you to control exactly what’s in your food. Making dinners at home means you’ll always have lunch ready for the next day. You can control the serving size of your meals. When you have a meal plan and groceries in the fridge, eating healthy is a breeze! A good plan saves time and energy. You can cover all your nutritional bases by including a variety of foods. It’s much easier to cook at home without dairy, meat and eggs than it is to avoid them in restaurants. It makes weight loss or maintenance manageable and realistic. You can discover wonderful new foods and recipes. It helps establish a love of eating well! It helps eliminate “what to eat” stress during the week. It’s as basic as this: I plan dinner for six days of the week and eat out for one. That means unless we have something special planned, I cook dinner at home Sunday to Friday and either have take-out or go out to eat on Saturday nights. This way, not only do I get to eat something I love on Saturdays (sushi or Thai food, please and thanks! ), but I get a night off cooking and dishes. Thank. God. Every Sunday morning, I do my meal planning for the week ahead. I sit down with my cookbooks and a notepad, I browse, choose 6 dishes and make the according grocery list. I then go purchase the groceries I need. That’s it! 1. Stock up on cookbooks you’ll use over and over again.
. I have numerous others on my shelf I refer to from time to time and I usually add a new one to my collection every 6 months or so to keep things interesting. If I’m not making an exact recipe from one of the cookbooks, I use one as inspiration to create my own dishes. Quick tip: You can also take cookbooks out at your local library! Something I’ve done on numerous occasions. It’s great if you want to try before you buy. 2. Pick a few recipes with somewhat similar ingredients. Try to choose at least a few recipes with somewhat similar ingredients each week. This will help to save money and prevent food waste. 3. Bookmark and Pin quick and easy healthy recipes. When I get bored of planning from my cookbooks, I meal plan from the wealth of free resources available online. This can be overwhelming at times so I’d recommend sticking to a few favourite blogs and using Pinterest boards or bookmark folders to keep track of the recipes you’ll be making each week. When I’m planning my meals from online recipes, I create a bookmark folder with the date such as “Meal Plan Jan 5-11” and then simply bookmark my weekly recipes there. I use Oh My Veggies quite often for meal planning, as well as Pinch of Yum and The First Mess. Oh my Veggies even has free pre-made meal plans you can check out here. 5. Eat smoothies, chia pudding or oats for breakfast. Easy, tasty, healthy and endless variety. You don’t need a meal plan for this. Just include fresh and frozen fruit, oats, non-dairy milk, and other add-ins on your grocery list. Try overnight oats to save even more time in the mornings. I’d also recommend a scoop of plant-based protein powder in your morning smoothie to give it more staying power. Try my Sweet n’ Salty Chia Pudding or Blueberry Banana Overnight Chia Oats for an easy breakfast or a snack! 6. Stick to basics for snacking. Think fruit, nuts, seeds, protein powder, fresh vegetables and hummus or homemade energy bars or balls. Unless I have a specific recipe I plan to prep ahead of time on Sundays, I usually just eat whole foods for snacks during the week. 7. Stick to whole foods for dessert. If you need a sweet fix after weeknight meals, don’t worry about planning for it in your week. As long as you’re stocked up on whole foods, you’ll be ready to satisfy your sweet tooth with a healthy option. A few good choices are sliced banana with a few nuts, cocoa and cinnamon, almond butter-stuffed dates, Pecan Pie Balls or heated sliced apple with a drizzle of maple syrup and cinnamon. Get the idea? 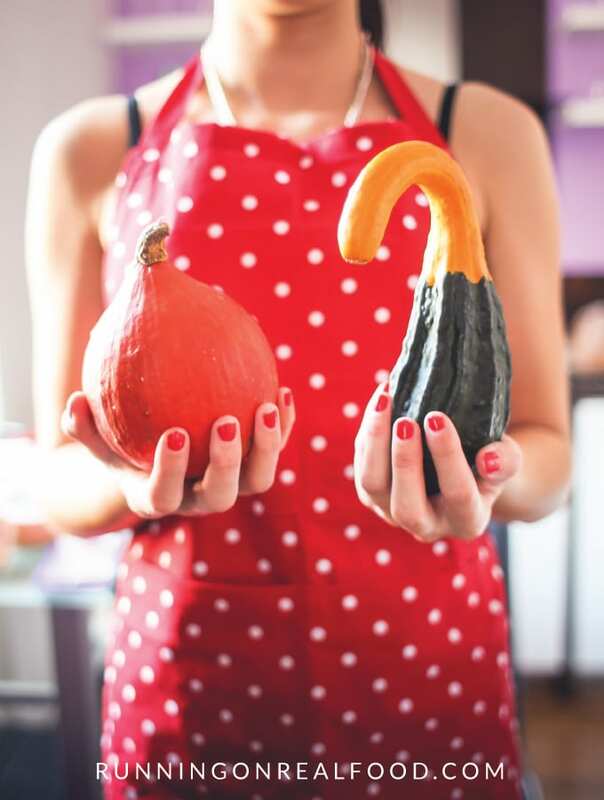 Mix and match your favourite naturally-sweet whole foods, keep it simple and get creative! 8. Make sure you have a well-stocked vegan pantry. Having a well-stocked pantry will make your weekly grocery shopping much easier and less expensive. If your cupboard and fridge is already full of the basics all you have to do is purchase perishables and specialty items and you’re all set! Check out my post on Stocking a Vegan Pantry to get started. Because I have all the basics on hand, my weekly grocery list is usually quite short. Especially since I don’t have to worry about eggs, dairy or meat! 9. If you’re really busy during the week, do some Sunday food prep. A little goes a long way with food prep. With just an hour or two invested on Sundays you can save yourself a ton of time during the week. I’d recommend checking out The Little Honey Bee or The Lean Green Bean for all your food prep inspiration needs! 10. Allow 1-2 nights off each week. Optional, but recommended! We all need a day off sometimes, right? I hope that helped simplify healthy meal planning for you. Don’t be overwhelmed. It doesn’t have to be complicated. It should be easy, delicious and fun! That way you’ll be able to enjoy a healthy, nutritious plant-based diet for the long-haul. 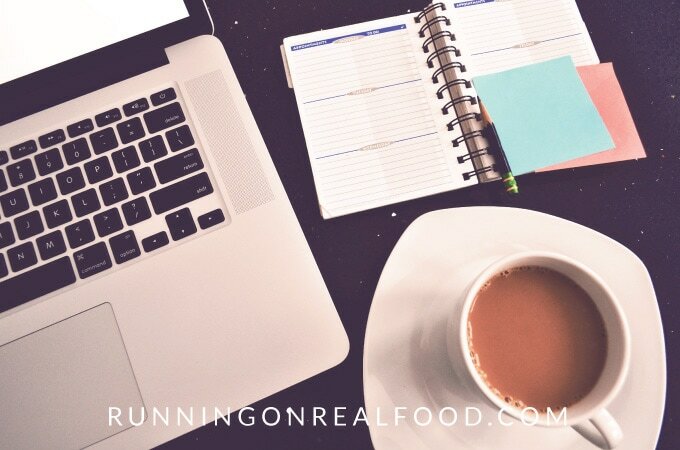 Whether you eat vegan, paleo, gluten-free or just a healthy, balanced diet in general, I believe meal planning is the secret to realistic long-term success. Healthy eating is supposed to be enjoyable, not stressful. By planning the majority of our meals and snacks to be healthy ones, we make room for the less-than-healthy but required-for-mental-sanity treats to be included. Now, this is just how I do it, I’d love to hear about your meal planning process! Do you plan a whole week at a time or just a few days? Do you do one big shop per week or a few smaller ones! Do you use recipes or just wing it? Any tips you have for me would be much appreciated. Every Saturday, I make a meal plan for the following Monday-Friday. I use my Pinterest boards almost exclusively for choosing my meals, although I’ll sometimes throw in a family recipe. Weekends are my days off. 😉 We usually order takeout or eat leftovers. Having a well-stocked pantry is such a lifesaver! As you said, all you need to buy is perishables. My pantry is actually getting depleted at the moment, so I need to stock it back up, ha ha! Most recipes yield more than what I can eat in 2 meals. Do you cut the recipes in half if you’re cooking for one, like I am? Love this thorough guide! I’m not personally vegan, but the meal planning can apply to basically anyone! I really need to be better with it, though, because I find that I’m spending waaay too much eating out! I also find that when I head to the grocery store without a list of ingredients planned out for meals, I end up buying waaay more junk food than I need! So true! It’s dangerous going to the store without a list 😉 Also even if I’m going for a few things, if I don’t have a list I usually forget when I need and come home with a bunch of random stuff I hadn’t planned for. I’m glad you found it helpful. Thanks for the comment! Great post! Sunday is a great day to plan out, shop, and prep for the week. I also agree that you need to take a night off during the week, otherwise cooking begins to feel like work. In present situation, people like me who don’t have much time to take care of health and keep on gaining weight while sitting on same place for long hours. People pay extra efforts to look picture perfect or at least have beach body which they can flaunt during pool party. I have been looking for ways to shed extra pounds around my belly portion. While searching the weight loss tips, I found your post. I have earlier heard about Vegan Diet from my friends but never tried. But after reading your informational post, I will definitely try out. Thanks for sharing the useful Meal Plan and Cookbook links which is quite interesting. Thanks a lot. 🙂 Keep on sharing such wonderful posts. I see so many tips out there about how to meal plan for a vegan diet, this is definitely one of the best! Great tips, love this!